This question is essentially the reverse of this older one. 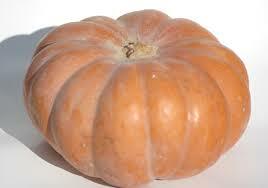 Can I safely substitute canned pumpkin for fresh pumpkin in a pumpkin soup recipe? If so, should I expect any side effects in taste or consistency, and, if so, are there any corrections I should make to offset this? As André Soltner is basing his recipe from recollections of growing up in Alsace, it may be that it was not the garden pumpkin, as it's known and which resembles the large US variety most familiar as decoration. Several of the many grown in the Alsation region might be better suited to soups and other recipes. The Hokkaido, similar to Hubbard, has a very hard outer skin, and very dark orange flesh (image courtesy of Wikipedia). The Muskat-kürbis has bright orange flesh, and is used as a vegetable and for soups, in desserts, as well as being made into jam (image from Kostenlose). As canned pumpkin is denser, it may give you the result you're looking for in the NYTimes recipe. In my experience, canned pumpkin is usually better than fresh in a pureed recipe. The only thing you might experience is that you will want to thin the soup more because the flavor is more concentrated. Not the answer you're looking for? Browse other questions tagged substitutions soup pumpkin or ask your own question. Advice for adding pumpkin to pancakes? 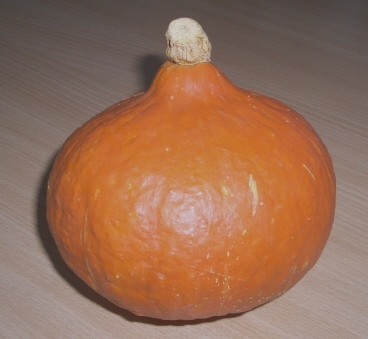 When can't I use a squash in a recipe which calls for pumpkin?